Nienover, which is located in the Northeim regency, is a unique Ground Monument in Central Europe, where we can find the almost untouched remains of a town which has only existed for about three generations. In the context of a long lasting research project, the area was studied closely. At an early state, the regency agnised the possibility to establish the exceptional project of rebuilding a town house from about 1230 on its original foundation. 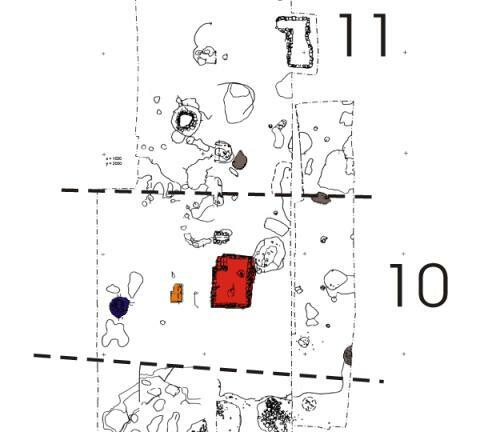 Number 10 marks the lot of land which holds the reconstruct of the house. 2. Baking oven (today a clay oven which can actually be used). 3. Cesspit (not used anymore). 4 Foundation of the basement (rebuilt directly on the actual remains of the foundation). 5. Fireplace ( today used as such and for cooking). 6 Borderline of the lot (today marked by a willow wood fence). 7. Borderline of the lot (today outside the property). (Source of design: Sonja König, Die Stadtwüstung Nienover im Solling, Materialhefte zur Ur- u. Frühgeschichte, 2009, Band 39). 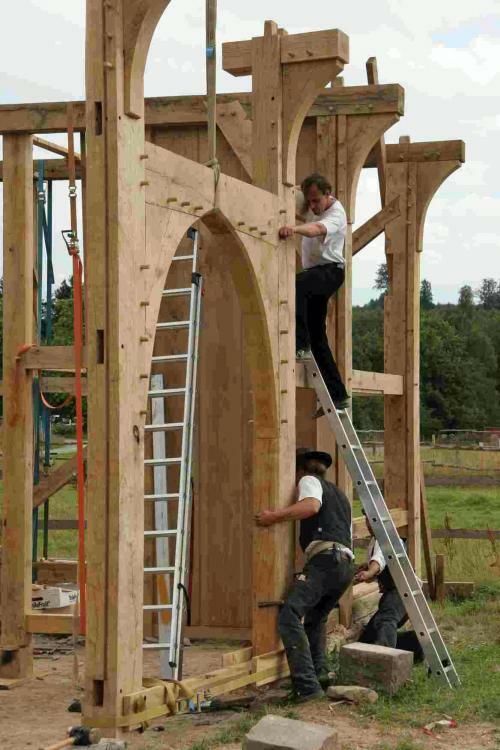 A constructional historian was consulted and craftspeople, who were familiar with the historical way of house- building, were contacted to rebuild the house. We owe to them what we have today. Aim of the project is and will be not to have a museum but to have a place where history comes to life and visitors and impersonators can experience the life in the 13th century. 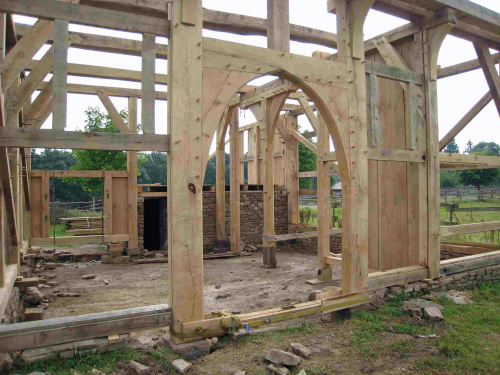 As a result, we have a reconstruction of a house from about 1230 on the original spot, beautifully located in the Solling area and surrounded by pastures with grazing horses from the nearby stud and a vast view of the Reiherbachtal. About five minutes on foot, the Carolinenteich, a beautiful and romantic lake, is located and close by, the “Hutewaldprojekt” is to be found. The all- season project is about two special kinds of breeds. On the one hand the “Exmoorponies”, a special breed of small horses, and on the other hand the “Heckrinder”, a special breed of cattle. Like their ancestors, the wild horse and the aurochs, they are putting out to pasture and life in the meadows and the forest.